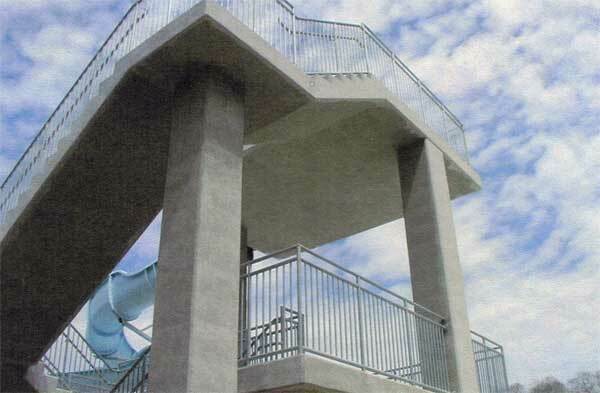 Aupperle Construction constructed all foundations, excavations, floor slabs and decorative concrete on this project. 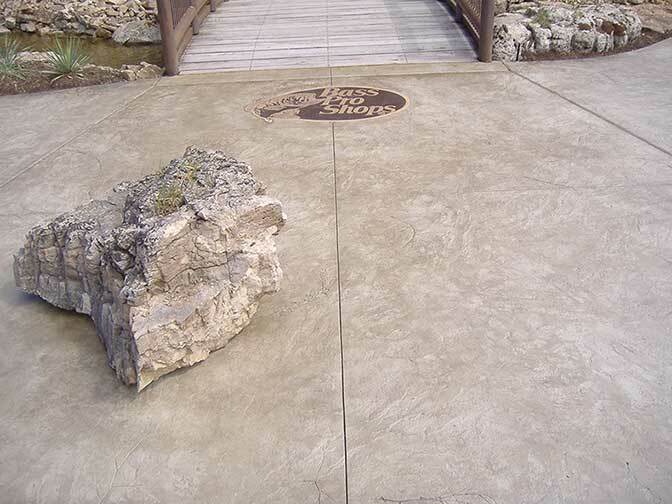 This included the animal tracks throughout and the bowling alley construction as well. 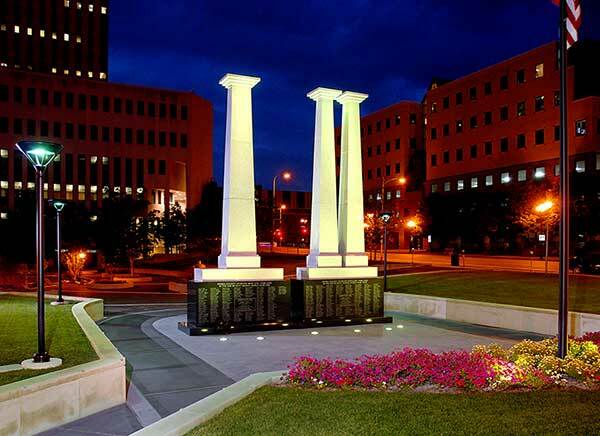 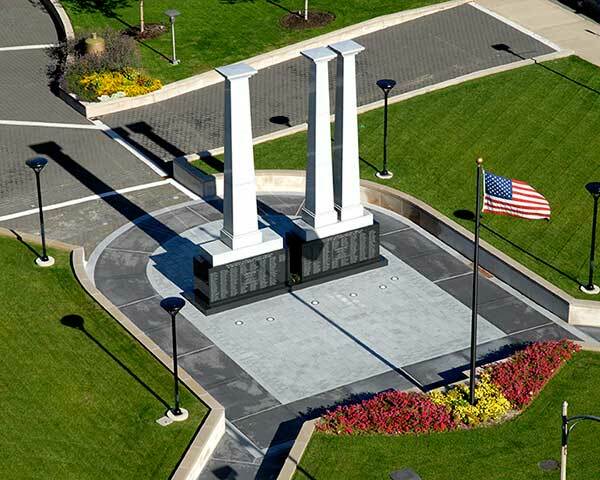 Through extremely noble donations from numerous contributors, Aupperle Construction was able to create this memorial dedicated to those Peorians who lost their lives in World War I and II. 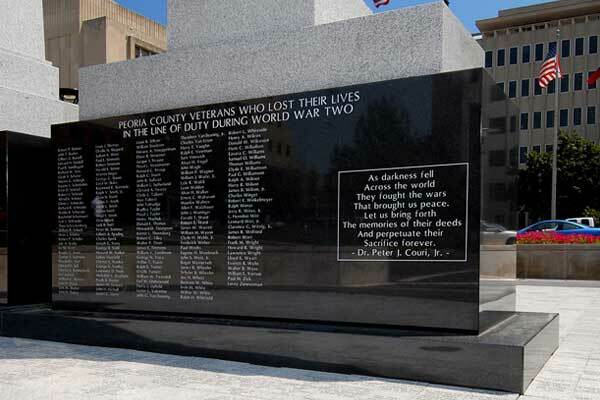 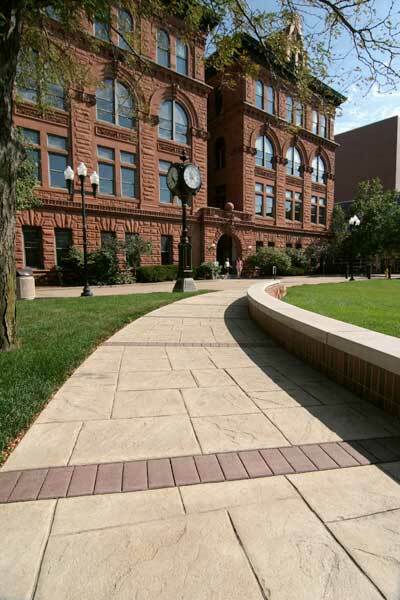 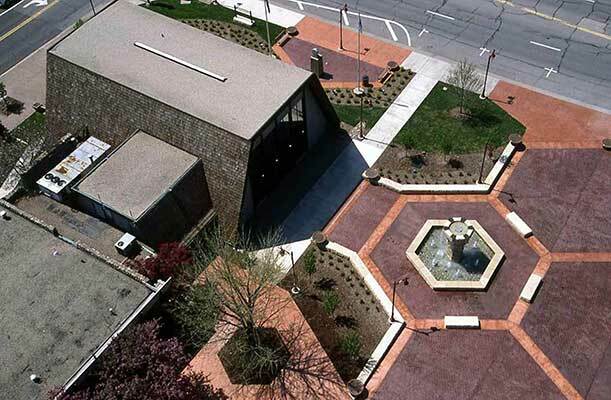 It is located at the Peoria County Courthouse in downtown Peoria. 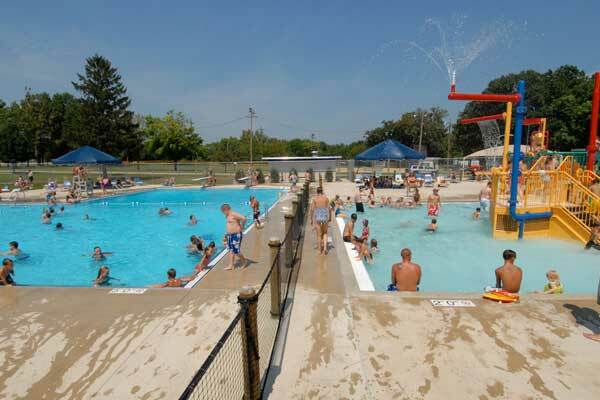 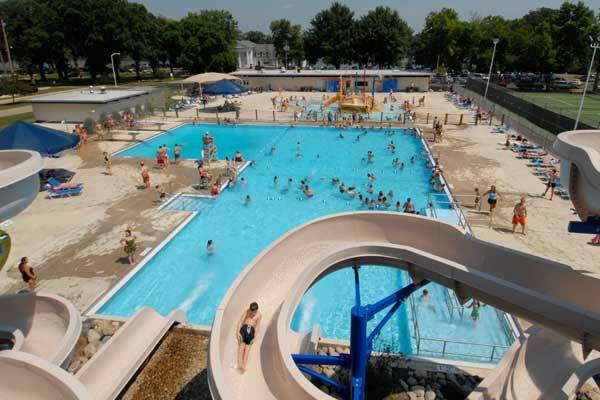 A major facelift to this public pool incorporated new water slides, a children's water park, an expanded pool deck, and a new grass lawn for sunbathing. 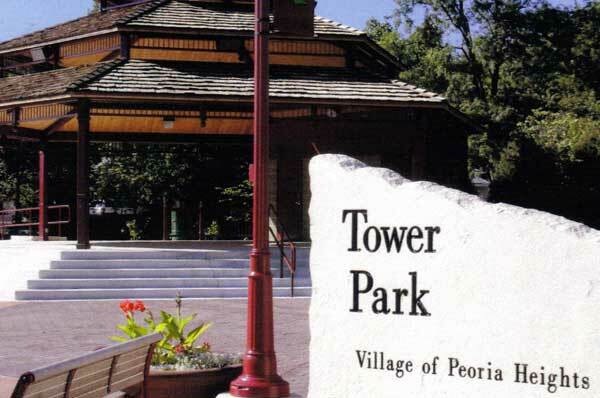 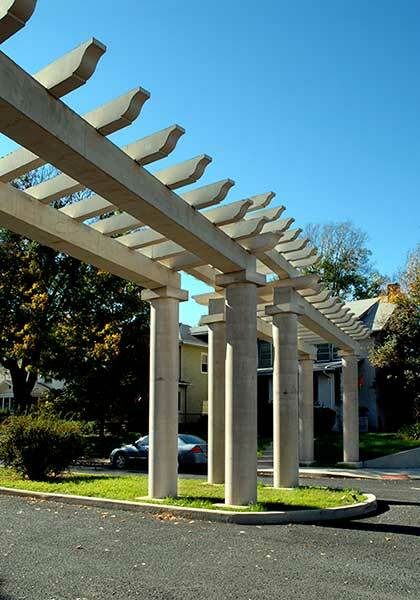 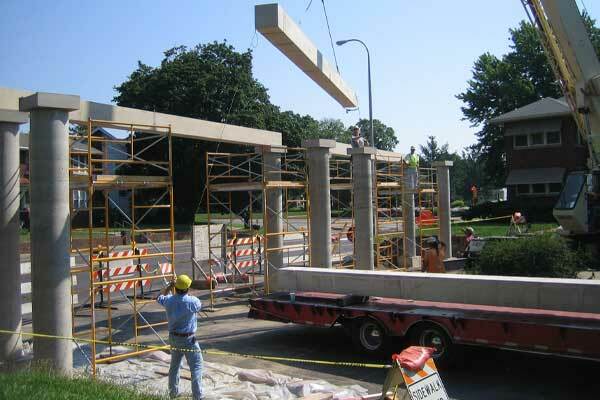 This re-creation of a Peoria, Illinois historical landmark required cast-in-place columns topped with concrete girders. 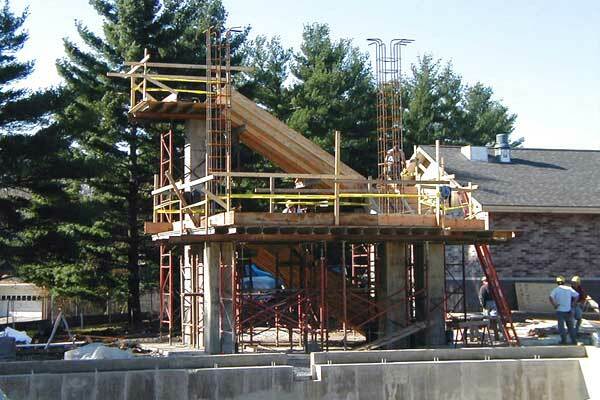 The girders were pre-cast at the Aupperle and Sons shop in Morton, Illinois. 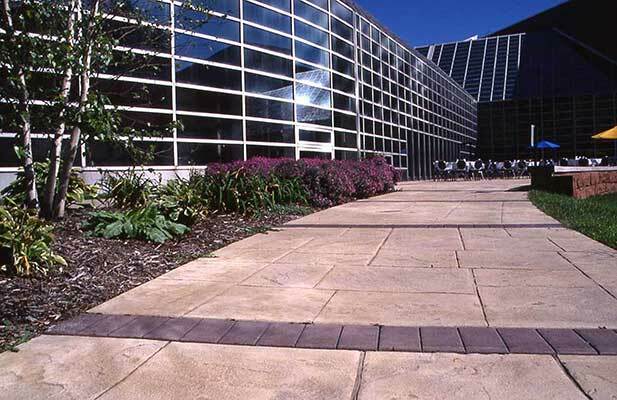 This project was featured in the February 2006 issue of Landscape Architect. 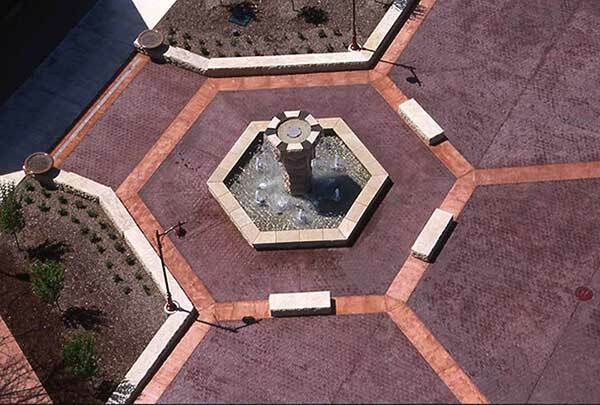 Two shades of integral color, 8" and 17 1/4" Bomanite hexagon shaped stamps added color and interest to the parks concrete pavement. 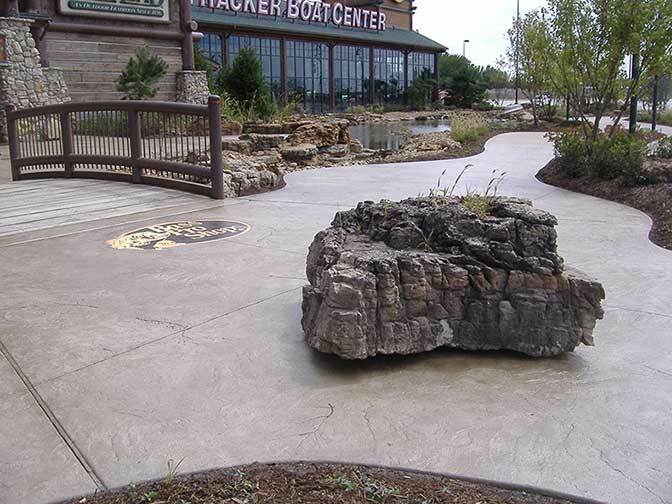 Large sections of exposed aggregate concrete poured in hexagon shapes and bordered, accented another area of the park. 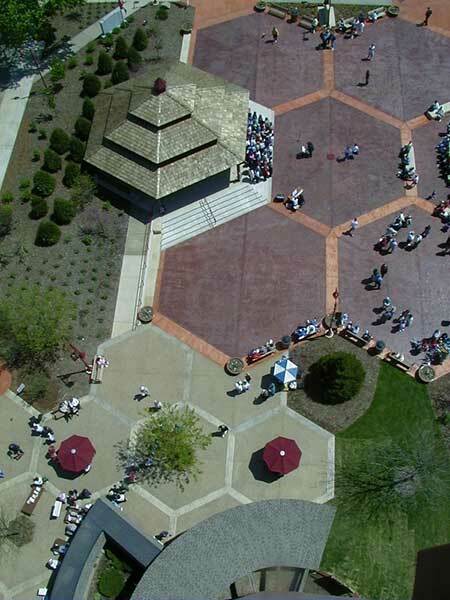 The view from atop the tower spells out the hexagon theme of the park. 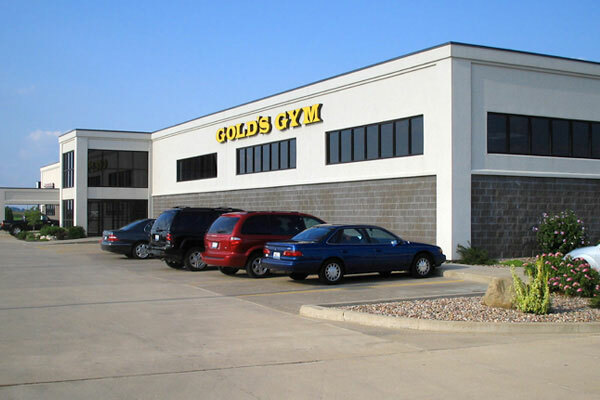 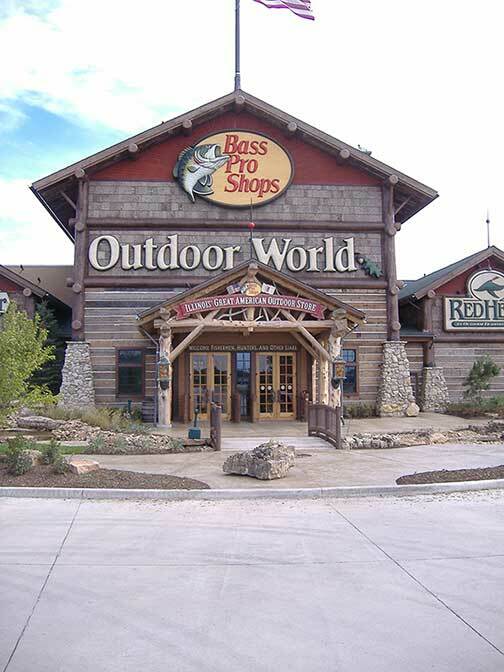 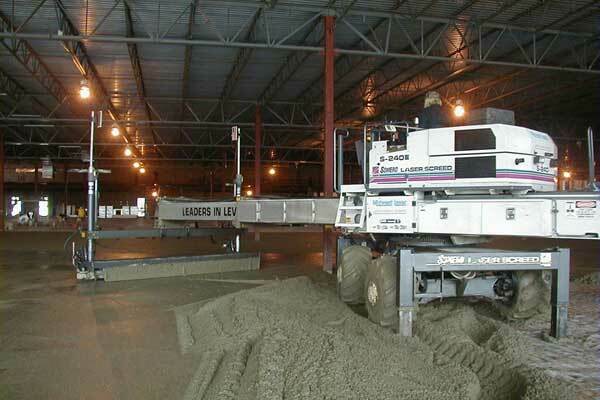 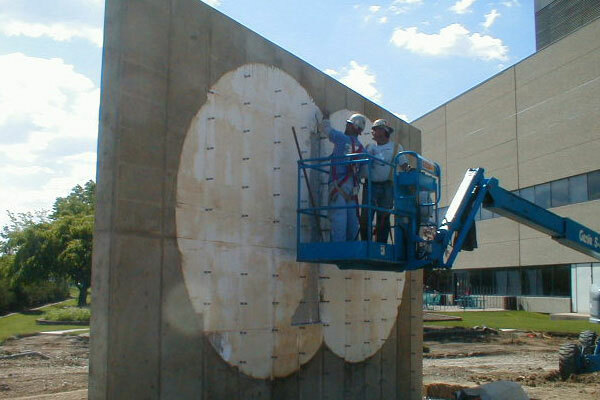 Aupperle & Sons performed the excavation, foundation, and flatwork for this 96,000 square foot building. 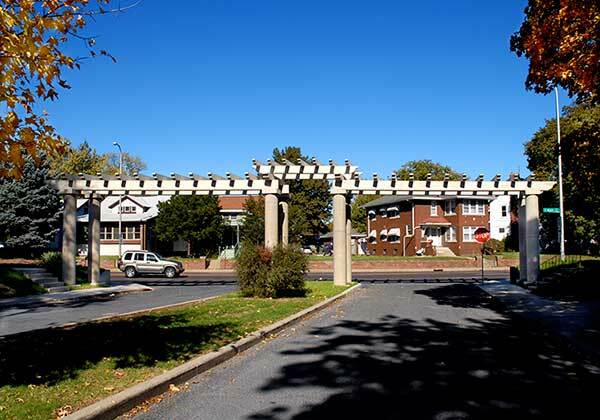 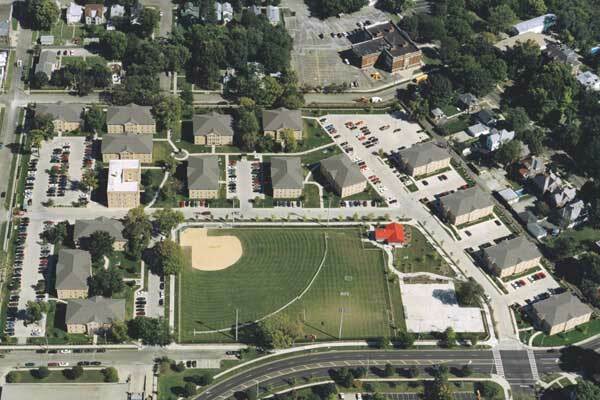 St. James Apartments consist of 15 new buildings constructed in an old residential neighborhood. 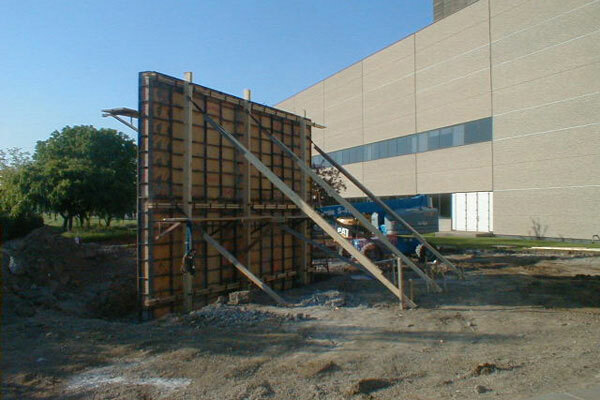 Aupperle & Sons installed all the concrete foundations, floors, parking lots, sidewalks, basketball courts, streets and storm sewer; Performed all site grading which included filling existing basements and cisterns, ground stabilization, tree removal, grade elevation changes and constructing the baseball and soccer fields. 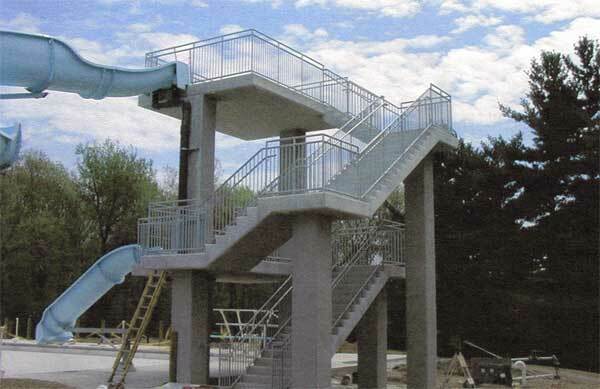 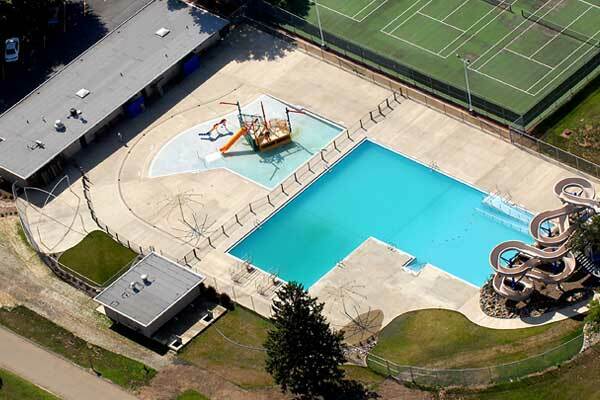 Aupperle & Sons performed all of the concrete work for this park district pool. 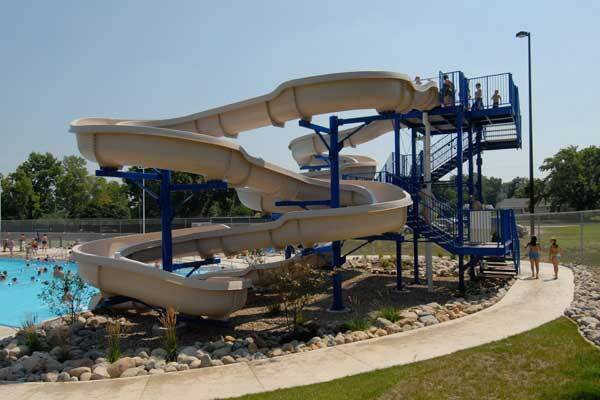 Over 1,200 cubic yards of concrete was poured to construct the multiple pools, decks, and slide structure. 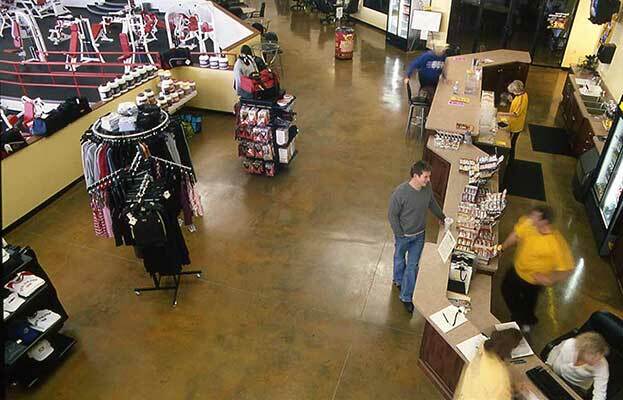 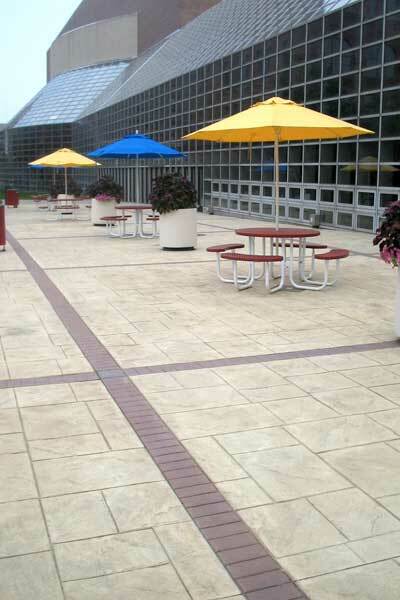 Bomanite chemical stains were used to enhance these concrete floors with varying shades of rich color and a unique Patene effect. 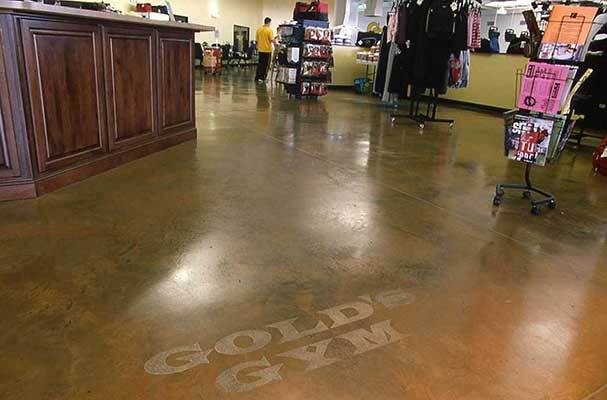 A custom logo was also incorporated into the floor. 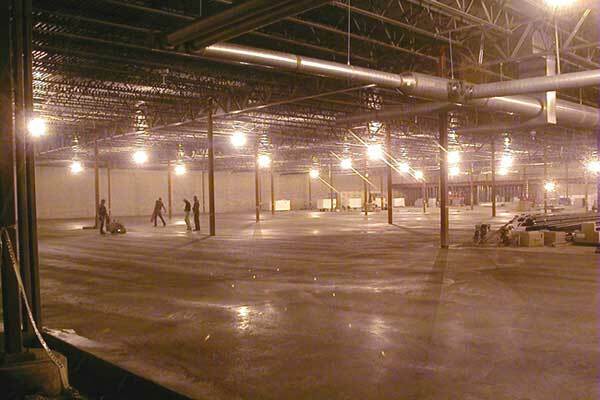 In addition, Aupperle & Sons performed all site grading, excavation, concrete foundations, interior floors and the parking lot. 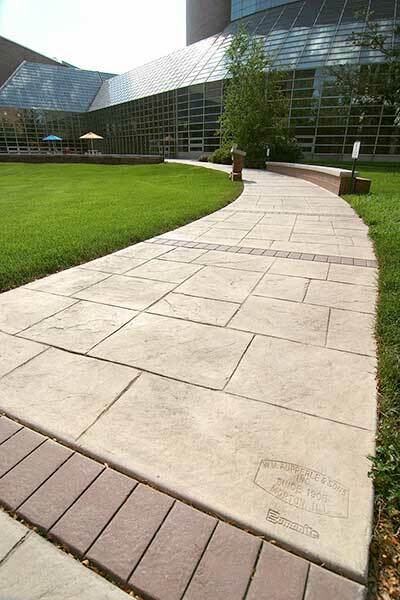 Through fine craftsmanship, Bomanite imprinting tools, color hardener and chemical stain, Aupperle & Sons enabled the concrete to take on the appearance of English sidewalk slate for this installation. 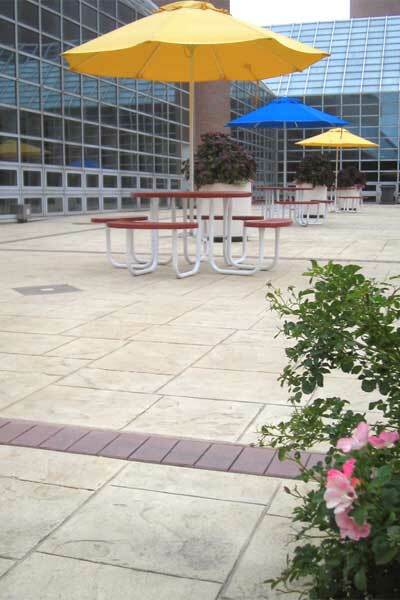 The visible brick bands and accent pieces in the field are also of imprinted concrete. 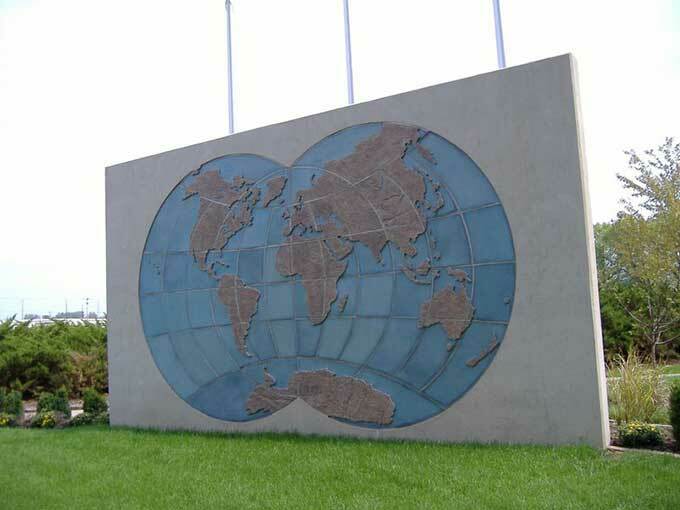 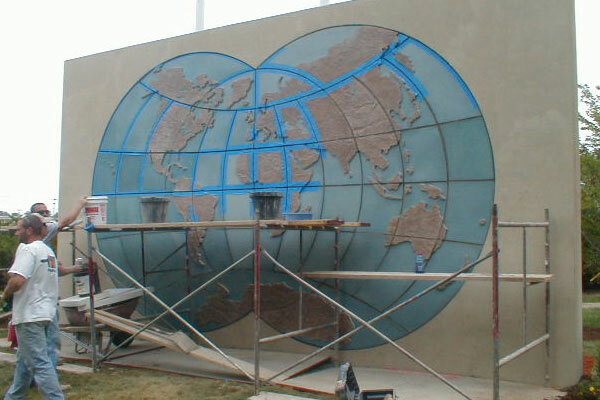 This world map feature incorporates self-consolidating concrete, Bomanite colors and textures, as well as a micro-top treatment to produce a one of a kind exhibit. 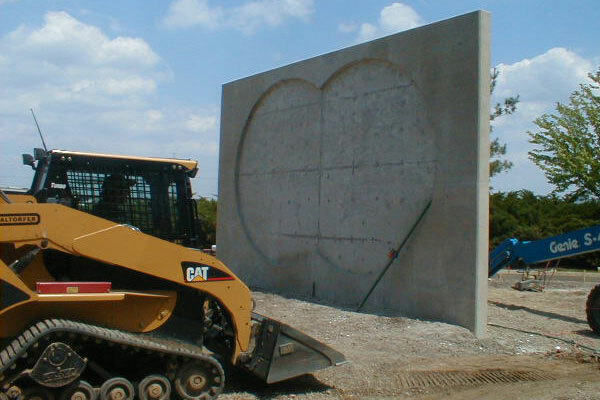 This feature is a testament to concrete and the many ways it can be utilized as a decorative medium.